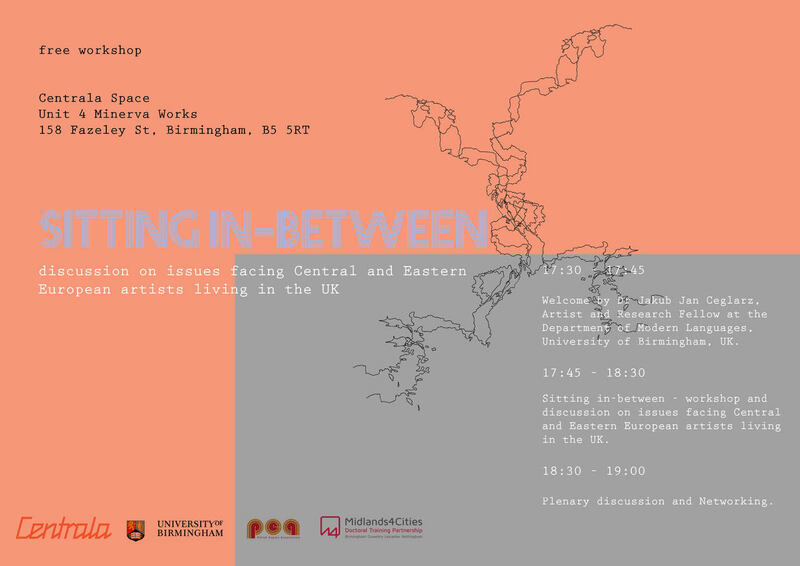 Polish Expats Association (PEA), Centrala Space and University of Birmingham would like to invite you to take part in an upcoming workshop being held as part of the research project In-between Spaces: Inclusion and Representation of Central and Eastern European (CEE) Artists in the UK Creative Economy. This workshop aims to bring together artists, activist, researchers and cultural practitioners to gain insight into the diversity of CEE artists living and working in the UK and to discuss issues they are facing in their professional development. Central and Eastern European (CEE) UK-based artists often find themselves underrepresented in their participation in local and national cultural events. This experience, as observed by Centrala Space, has a material impact on their access to funding, professional training and level of visibility of their artistic practices. This workshop will provide participants with the opportunity to address these issues and with a space to discuss and inform the future of the network in relation to facilitating training and support. Each participant is asked to bring with them a small item that they feel represents their artistic, curatorial or cultural practice. This will be used during the workshop to visualise cultural and artistic diversity within the group.